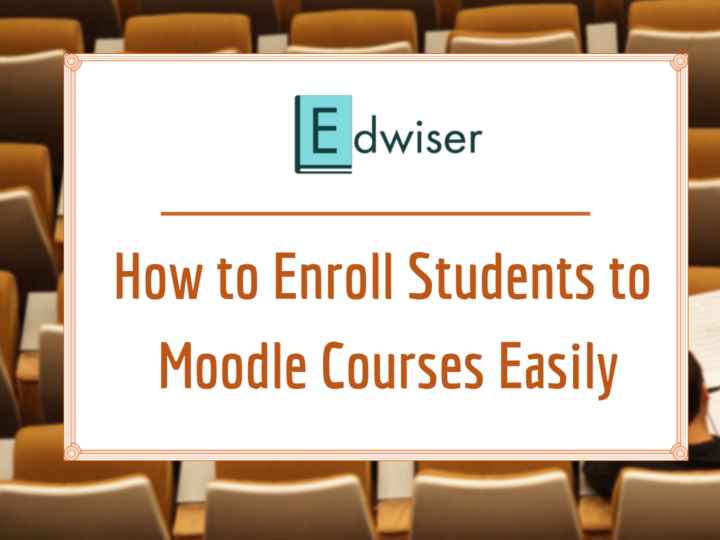 At Edwiser, we’re constantly on the lookout for ways to improve your Moodle learning experience. We’ve been busy adding updates to Edwiser RemUI and wanted to take some time to highlight these new features for you. Edwiser RemUI has received yet another update and now stands at Version 3.2.2! Of the many changes, the notable improvement is the changes made to Course Navigation.. we’ll discuss that shortly. What’s Exciting in This Version? Now let’s dive in and explore these features in-depth. One of the biggest detriments to training is a disrupted learner experience and we do recognize that finding the right assets quickly makes a huge difference for your e-learning. You are 12 lessons deep into Organic Chemistry and you suddenly want to refer to that pesky formula for … Water! (I know its H2O) in Chapter 3. Only now do you realize how tough navigation is on your default Moodle theme. Going back to your course list means hitting the back button 3 times or getting tangled in the breadcrumbs. We hate it (just like you do) and thus, we are hell bent on making it a better for you. So here it is – after a lot of jimmy-wriggling, Edwiser RemUI brings to you, a course navigation that not only gives you insight about an activity the student is accessing but also its status. You will also notice a green tick next to your completed activities. Ready to go global with Edwiser RemUI? We just unlocked a whole new language set. One that could mean going International with your e-Learning projects. In the latest update, we’ve added support for the following RTL languages. As a website owner, you never know what kind of browsers your users would use to access the website. To all of those who use IE 11, there is a good news! We have now, made Edwiser RemUI fully compatible with Internet Explorer 11. Note: Latest versions of Chrome, Safari & Firefox has always supported RemUI. 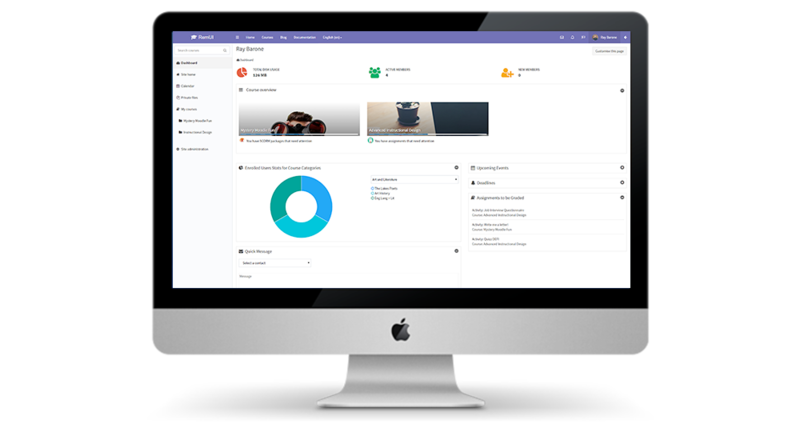 This update is all-set to give your dashboard a visually appealing touch. The courses are displayed in an aesthetically pleasing manner in the course overview block along with their associated images. 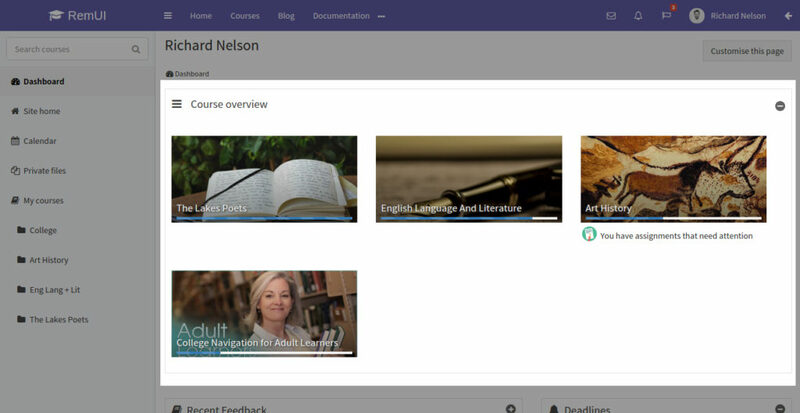 Course Overview widget has always been there, but this time we have added thumbnails to the widget. This should help you get a quick look at what’s happening. As usual, we’ve done the routine maintenance – removed junk CSS & JS codes. We’ve also fixed a few bugs pertaining to the text on Quiz module and a few dialogs on Settings pages. We have a clear path of what’s going to be our next steps, but ultimately you are the end-user, so we are taking suggestions from you. It can be anything from a simple feature request to a new plugin idea. So go ahead and share your thoughts through the comments or contact form. 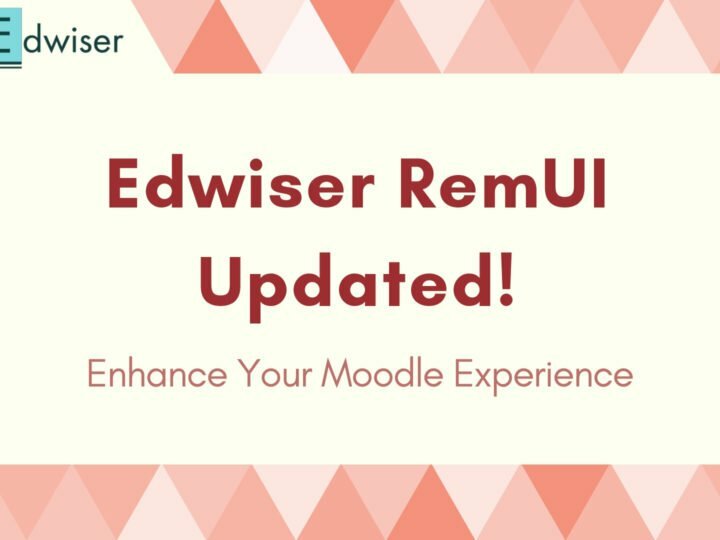 Make sure you update to our latest plugin versions by logging to your account and for those of you, who are new to Edwiser, well, you got all the more reasons to purchase Edwiser RemUI. And hey, don’t forget to spread the news about this update on your Social Networks. Could you tell me, what is the correct way to update RemUI ?, considering that I currently have version 3.2.1 installed. I do not know if deleting the folder remui or do it through Installing external modules of Administration> Extensions. 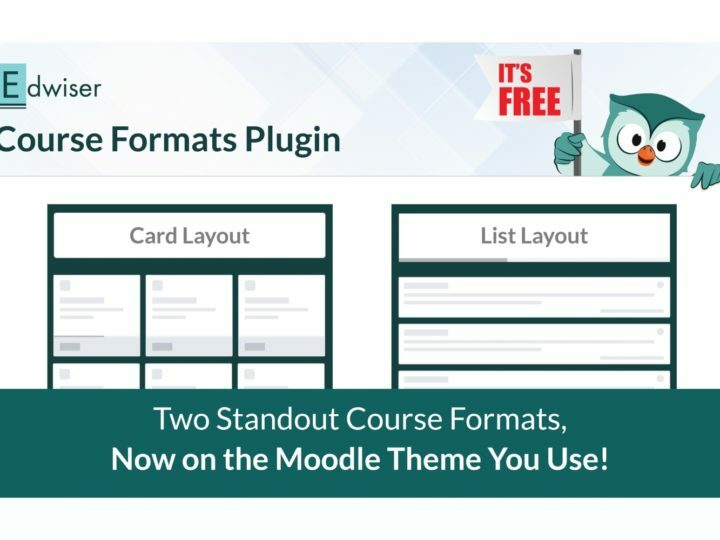 I just bought the theme and think its great, but I do not see how you can set the images on the courses and sections? 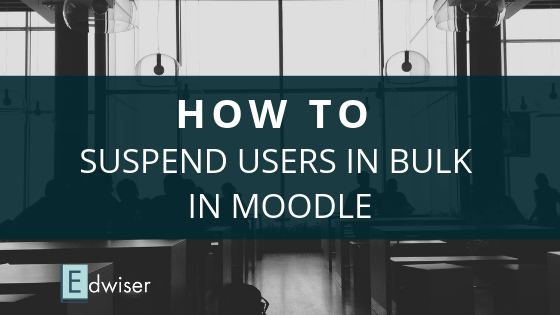 The first image uploaded in course descriptions and sections will be showcased as the course image or section image in Moodle.